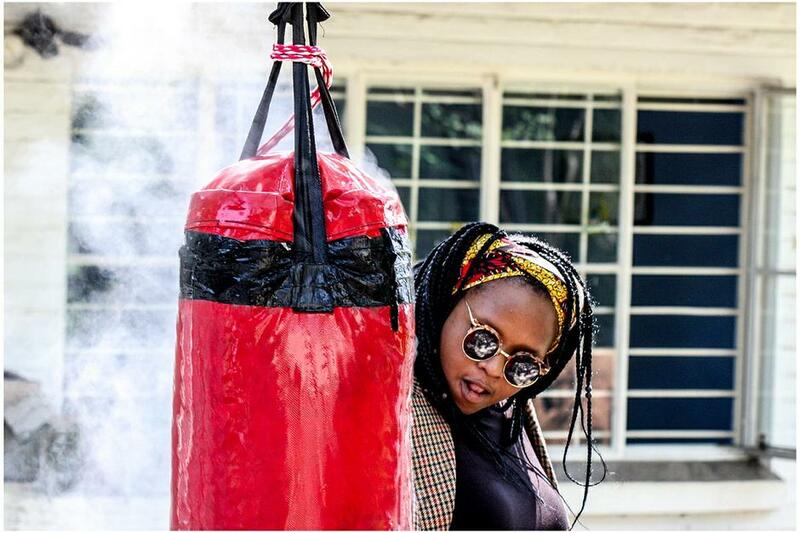 Ntsoana will be performing Bag Beatings at the Live Art Festival in Cape Town on Sunday the 9th of September. The performance is in P4 Studio, Hiddingh Campus at 7:30 pm. Joining Ntsoana in this powerful work are Hlengiwe Lushaba Madlala and Ange Bembeka. 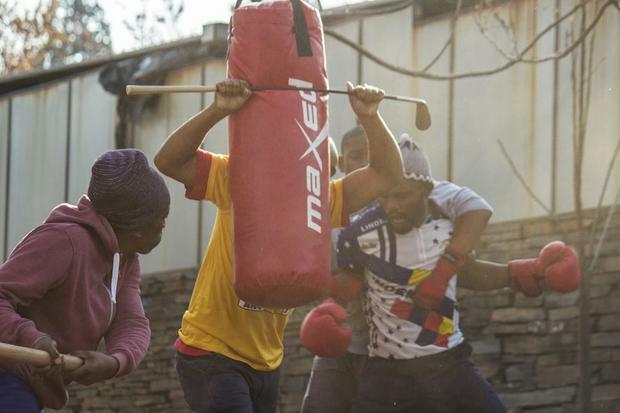 This hard hitting work featured Hlengiwe Lushaba Madlala and Ange Bambeka. 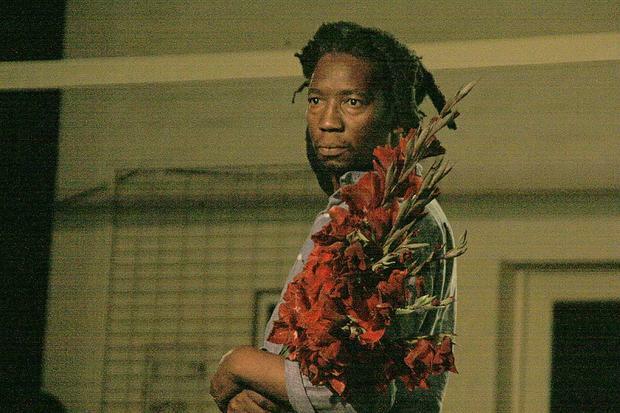 20 years after studying in the UK, Sello Pesa returned to London to present his solo work, After Tears, for the last time. The performances took place on the 16th and 17th of October 2017 and formed part of the London Dance Umbrella’s Out of the System festival within a festival which was curated by guest programmer Feddie Addaie-Opoku. Sello also took part in a panel discussion at Wayne McGregor Studio on the 18th of October. 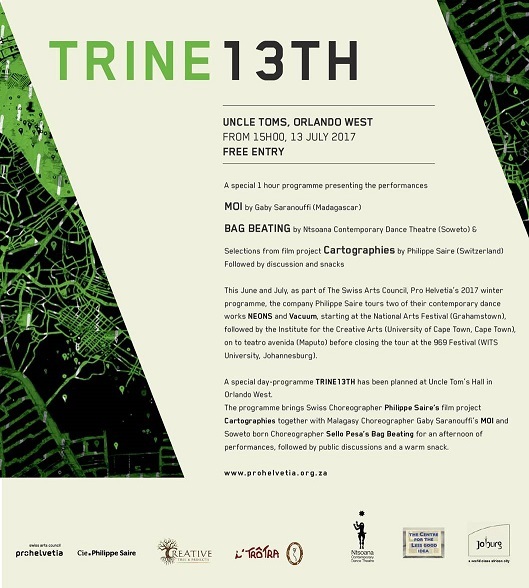 Ntsoana performed Bag Beatings as part of Pro Helvetia’s TRINE 13th on the 13th of July at Uncle Tom’s in Soweto. The programme also featured Gaby Saranouffi’s MOI and a selection from Philippe Saire’s Cartographies project featuring short films of dance in public space.